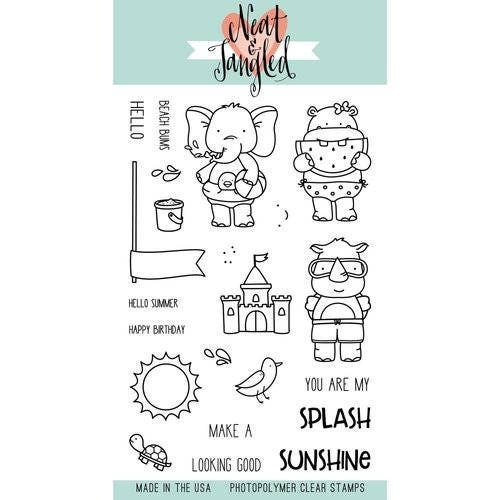 The Beach Day Clear Acrylic Stamps from Neat Tangled will help your projects make a splash. The set includes 21 photopolymer stamps on a 4" x 6" storage sheet. The stamps can be used with an acrylic block and inks of your choosing, as well as with the coordinating Beach Day Nice and Neat Dies from Neat Tangled sold separately. Made in the USA.